The B Series diesel by Cummins is the most successful diesel engine ever built. Straight 6 power is put forth in these 350 horsepower engines. One of the many things that Dodge has done right for the last 20 years is depend on diesel engines to power their medium-duty line of pickup trucks. The average person has no idea what a diesel engine can do, but to diesel lovers the Cummins 6.7L diesel is the best of the best. We have the Cummins turbo diesel crate engine in stock ready for shipment. We ship super fast to the U.S. and Canada. 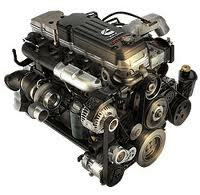 Apart from the 6.7 diesel, we have other popular B Series engines too. We have the 3.9L step van models and the original 5.9L Cummins that started the craze for diesel engines in the mid 1980s. Dodge vehicles are known for their power and the B Series is the magic that happens behind the scenes to make sure the torque, fuel economy and horsepower are working correctly to give unrivaled performance under any conditions. The high output Turbo Diesel from the 2000s is another popular version based on the 5.9 and we have it in stock too. A crate engine is easy to put in, but can still be susceptible to problems if it is not maintained. The high combustion ratio depends on the routine maintenance that must be provided. We still offer you a 3-year warranty on our Cummins diesel crate engines. Our engines are built by the most respected and experienced engine staff that you will find anywhere in the U.S. Our engine experts know every corner of a Cummins diesel and make sure that it is built perfectly and with original parts. We do not skimp on quality. You get what you pay for and we give you the very best. Our engines are shipped out immediately after you place your order. This does two things for you. The first is that it helps you to meet your deadline of receiving the diesel engine. The second thing is that it ensures that your engine is crated and packed correctly for safe transit. We have a zero tolerance policy for damage and our freight carriers are all respected and popular carriers that guarantee a safe delivery. We don’t put our name on the Cummins Turbo diesel engines that we build for nothing. Call and tell one of our engine specialists that you would like to get a quote on a Cummins diesel engine. You have nothing to lose by getting a price quote. Our diesel engine specialists know exactly how to help you and will deliver your quote to you on the phone. If you prefer to use our online quote system, fill out our quote form and your price will show up in your email. We will happily answer your questions and give you a freight quote as well. We will make sure that you get the absolute lowest price on the Internet.